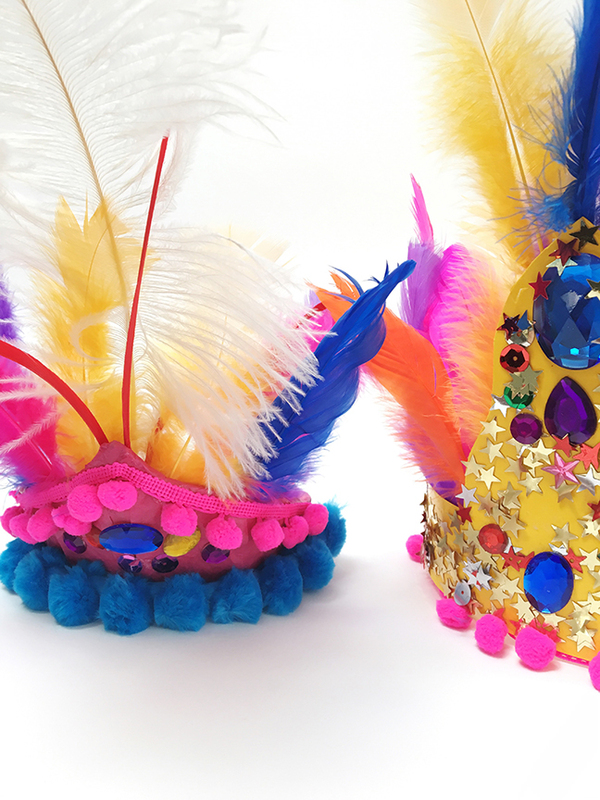 Oh Creative Lady: Meet Sian from Teach. Investigate. Play. 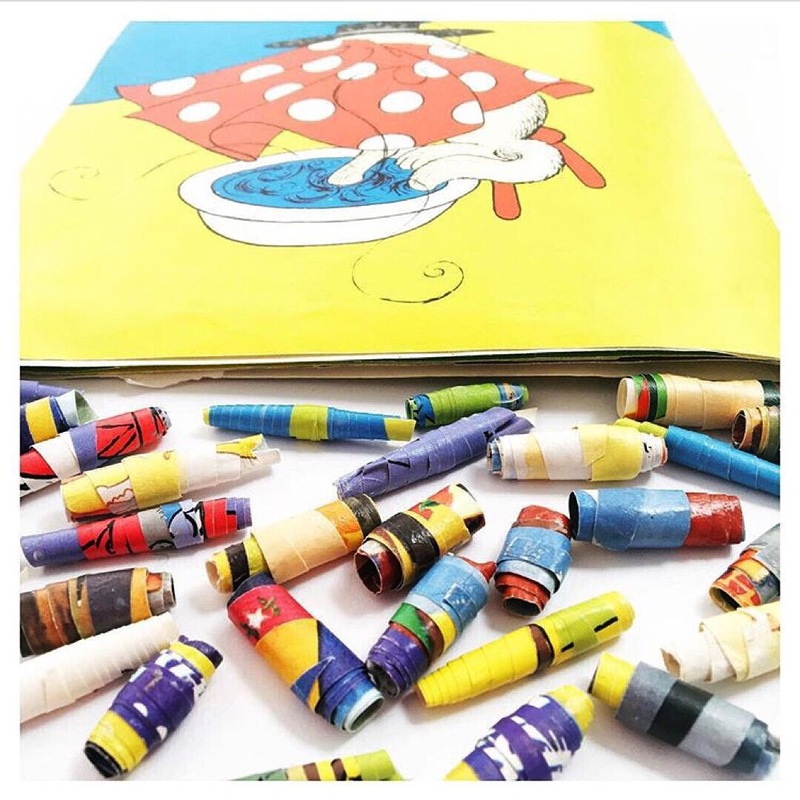 This super simple art and craft project for kids is a throwback to my own childhood. My dad recently showed my eldest daughter how to fold paper to then cut out a snowflake. It just about blew her mind. What kiddo doesn’t love the chance to go all Edward Scissorhands? I was reminded of how many hours were spent experimenting with my own snowflake designs as a kid. 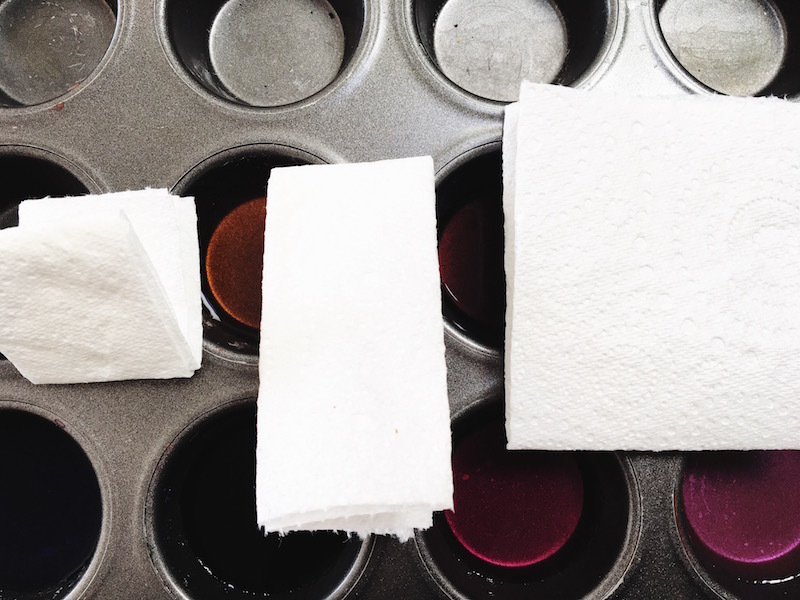 We’ve also been pretty infatuated with using paper towels to absorb watercolours of late. Seriously, my art and craft cupboard is overflowing with dyed paper towels. But liquid watercolour be expensive, people. So I’ve started substituting the liquid gold for humble old food colouring. The results are still as excellent! Fill muffin tin with food colouring and water. I used a ration of about 1:3, colour: water. The more water you use, the weaker your colour. The more food colouring you use, the more vibrant it will be. I also used liquid watercolours for colours like purple. 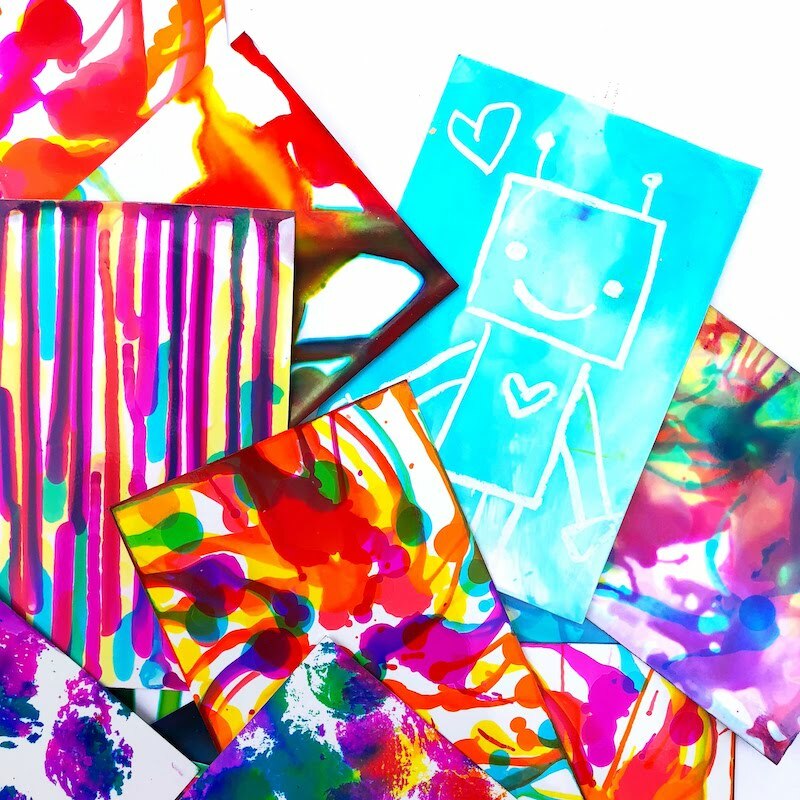 Did you know you can make liquid watercolours from dried-out markers? Click here to find out how and for loads of ideas. Experiment with folding squares of paper towel. Some pieces I folded into quarters. Others I folded into eighths. 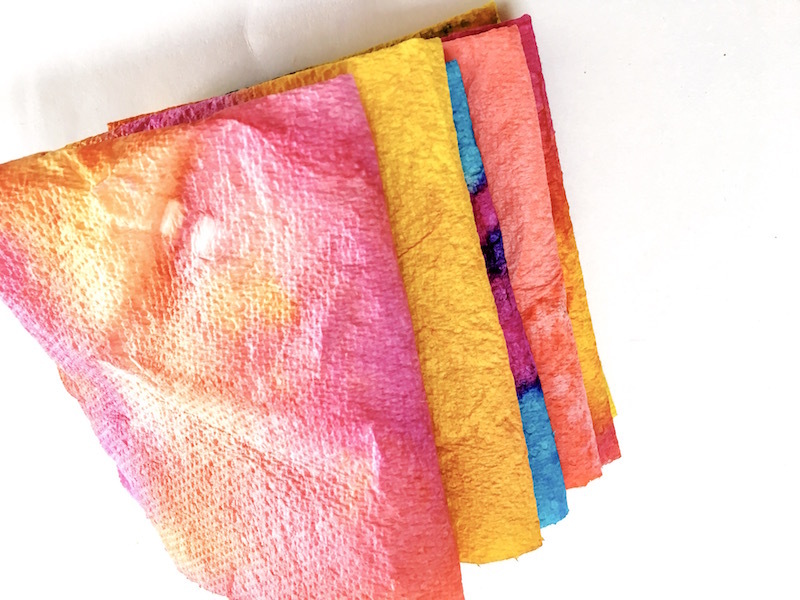 Dip corners of your paper towel into different colours. This part can get quite messy. So you may like to wear gloves. And a smock! 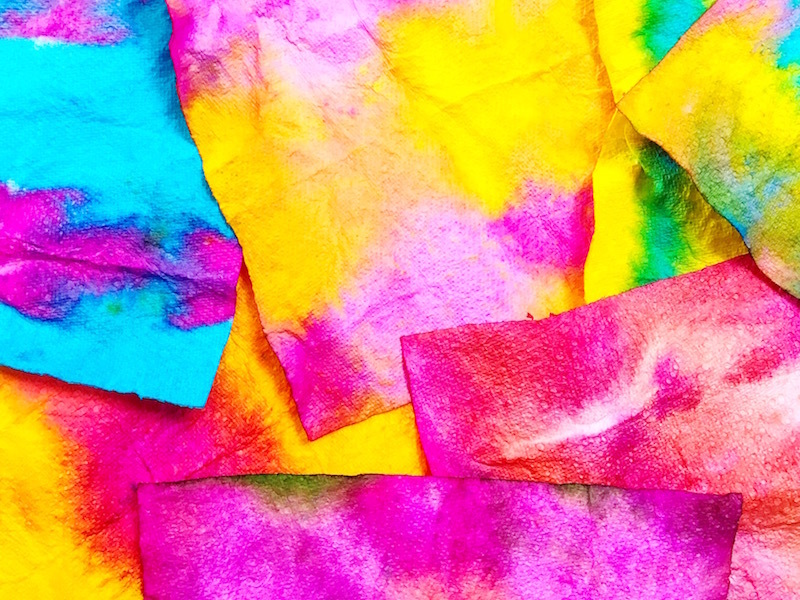 You could use pipettes to squirt colour onto the paper towel for a more controlled, less messy experience. 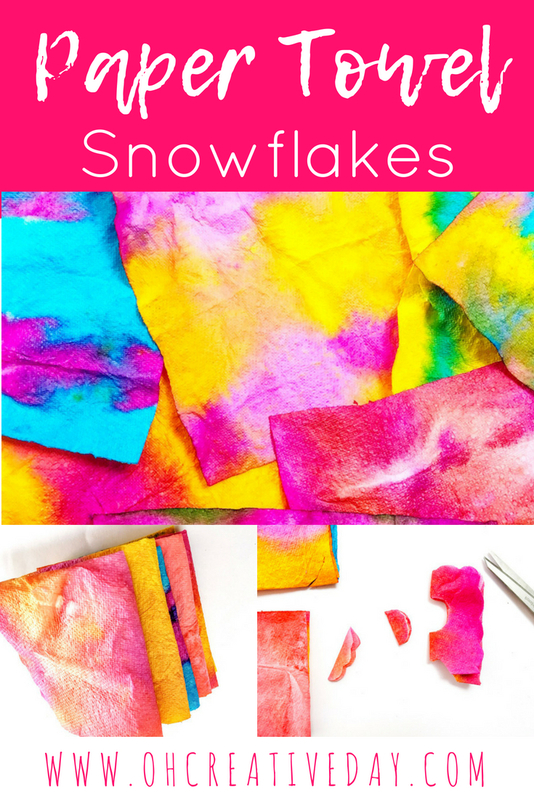 Once the paper towel has absorbed colour, the fun part! Gently unfold it to reveal your colourful design. I recommend having a plastic tray at hand. Your paper towel will be quite wet. The tray is great for transporting your towel to a drying space. When I’ve done this activity with my preschoolers, it is fast and furious. The process is as brilliant as the product. Once your paper towel has dried, fold it into quarters. 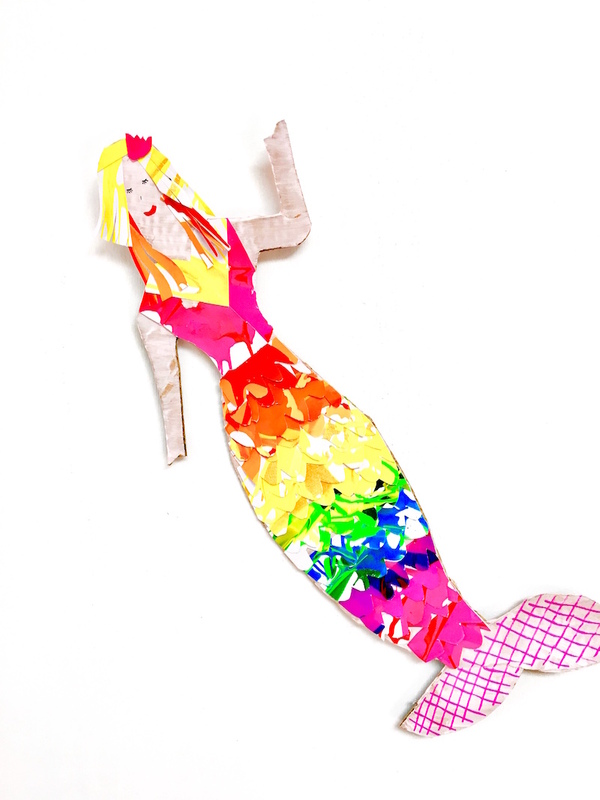 Begin experimenting with cutting different shapes and lines. Unfolding your paper towel to reveal the snowflake design is always the best part! Head over to The Craft Train and I’ll show you how to transform your snowflakes into a garland.